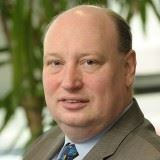 Educated at Tallinn Technical University (Economics MSc) and Aarhus University, Denmark (Political Science and International Economy), Mr. Hololei's career began in 1993 as Assistant Trade Commissioner at the Finnish Foreign Trade Association. Between 1995 and 2004, he held various positions in Government Office in Tallinn, starting as a Counsellor to the Minister for European Affairs and moving upwards to become Director of the Office of European Integration, Chairman of the Estonian Council of Senior Civil Servants for EU Integration, and Chief Government Counsellor of EU Affairs. In 2001-2002, Mr. Hololei was a Member of the Government as Minister of the Economy. In November 2013, Mr. Hololei became Deputy Secretary General of the European Commission in October of 2015 became Director-General for Mobility and Transport. Mr. Hololei is Chairman of the Supervisory Board of the Estonian School of Diplomacy, Member of the Board of the Institute of Social Sciences of Tallinn University, and Member of the Advisory Council of the Baltic Development Forum. He has been awarded the Grand Cross of the Lion of Finland by the President of Finland, the 3rd Class Order of the White Star by the President of Estonia, the Chevalier de l'Ordre du Mérite by the President of France, and the Commander of the 3rd Class Order of the Cross of Recognition by the President of Latvia. In 2014, Mr. Hololei was named "European of the Year" by the Estonian European Movement.